Explore this beautiful State Park with your family and friends! We’ll start with a brief Naturalist talk at the Ampitheater. Parking and bathrooms are nearby. Cub Scouts who Do Their Best to bring along their own Cub Scouts Outdoor Essentials, hike with a buddy and participate on this hike will earn the Cub Scouts Hiking Belt loop. This special award will be presented at the end of the hike as everyone returns to the Ampitheater. The hike may also count towards your son's rank requirements or electives. Details about the Hiking Belt Loop are here. Wear comfortable, closed toe walking shoes. Scouts (and Adult Leaders) should wear their uniforms. Scouts should bring a small daypack containing their Cub Scouts Outdoor Essentials. It's a good idea for everyone to carry their own too. Bring the required, completed forms for each person participating. This includes an Annual Health & Medical Record. 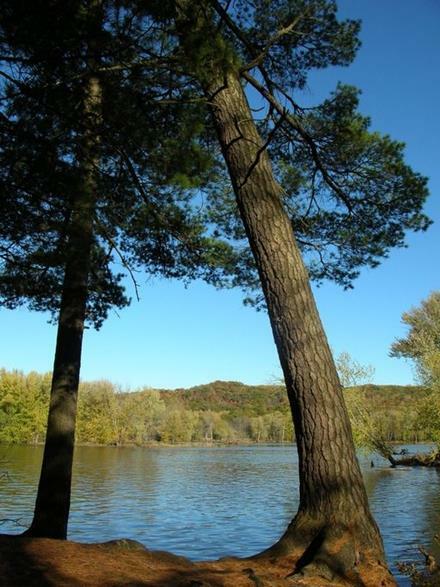 William O'Brien State Park is a 1,520-acre MN State Park. Its hiking trails traverse rolling glacial moraine, riparian zones, restored oak savanna, wooded areas and bogs. It is a popular place for birdwatching, picnics, camping, cross-country skiing, canoeing, fishing, and other typical outdoor recreational activities.